I hope that the last nine days has been productive, blessed and filled with love for you. What’s that! I hear you say, it hasn’t. Well now, let me give you an example of my week, and see if I can help you put things into some sort of perspective with a good outlook. Now last Saturday, hang on let me consult the diary, ok, last Saturday 4th February not a bad day at all. Weather not brilliant, cold, overcast. Busy day which went far too quickly like most Saturdays seem to. In the evening my wife and I went to a 50th birthday party. 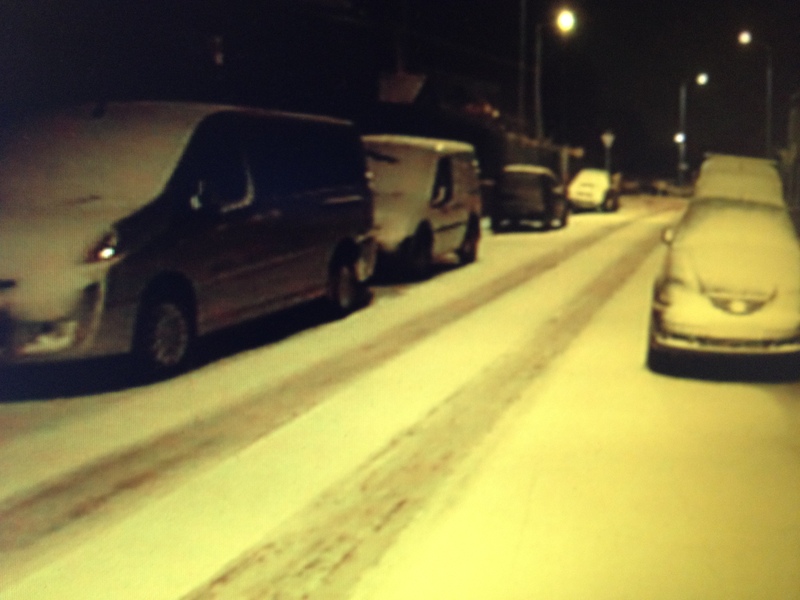 Drove there for five thirty, with dinner at six, left at ten thirty, what waited for us outside – SNOW. Not the ideal condition for driving in at the best of times. Sunday, a good day no problems except that I felt a bit tight in the chest. And of course there was four inches of – SNOW outside. Monday, I went to work did not feel too good but that’s life, some days we do some days we don’t. Tuesday, a few problems work wise and I felt worse, still it is only manflu better known as the common cold, get on with it. Wednesday bad news, I felt terrible, my whole body ached, my eyes ached, my throat was sore with a vengeance. Stayed in bed. Thursday, not as bad but not good. Another day at home. But went to prayer group in the evening, wonderful, totally blessed because I was and could be a blessing to others. Snow you thought I was dreaming did you, snow chance. So what is the point of the above you are probably thinking, well it totally depends on how you look at what is happening in your life at any given time as to how you feel about things. You can be happy because you have been blessed, or unhappy and annoyed even arrogant towards others, because life has dumped this or that on you and you feel like rubbish. My week was very mild compared to a lot of people’s week I dare say. However for me as an individual I could easily have allowed it to be a lot different. I could have been angry because it snowed, let myself get stressed because I had to drive in he snow. Think of all the bad things that could happen to me on seeing the four inches of it on Sunday morning. I could have let the next few days with the cold really get me down, making me grumpy and therefore allowing my grumpiness to upset or annoy other people including people I love. I could have allowed Wednesday and Thursday to turn into Wednesday, Thursday and Friday. Feeling totally sorry for myself I could have got depressed and angry at the world, which could lead to being bitter and even more angry. I chose though to take all these things in my stride, ok I had two days off. But you have to remember that I am on the wrong side of sixty and I did not want to be seen as if I was showing off as some sort of macho man who can grin and bear all without flinching, I jest. It is how we choose to react to what life brings our way that makes for a good or bad day or week. Then of course I have the added bonus of loving Jesus and allowing Him to guide me in all walks of life, I don’t always get it right in fact I very often get it wrong, but He loves me and forgives me as any loving father would. (by all means leave a comment). Enough already, let me go back to my first blog as there was still more to say. Where was I, Oh yes last week. but I will try to do this in short. About six years ago when I came back to the Lord He brought out from within me a gift that had always been there buried within me, it is the gift of visions and revelation. The day my mother died was the 4th October 2011. I received the telephone call from the hospital at 6.40 in the morning. After the initial flood of tears in the loving arms of my new wife of four days and fourteen hours, I wondered briefly what was happening to my emotions. The following few hours was spent wallowing in self-pity at my own loss, and it was around eleven am I decided to have a shower or rather just stand under the shower and let it run all over me. It is not unusual for me to talk to the Lord when in the shower and often also where the Lord may lay something on my heart. On this particular day of my mother’s death The Lord gave me a vision. The Lord showed me two angels carrying a casket which was laid with cushioning of a beautiful soft and tranquil colour, laying on the cushioning was my mothers soul. The angels placed the casket at the feet of God in between two other caskets. The one on the right had my sisters initials on it and the one on the left had the initials of my father. The vision then lifted up to a panoramic view and I could see that it was the throne room and there were millions of caskets laying at the feet of the Father, resting for the time when our Lord Jesus Christ returns. The tears stopped mixing with the cascading water from the shower and were replaced with a smile as long as a rainbow. Again I just knew in my heart that everything was going to be alright. I truly believe that all my grieving was done through that vision and a poem that God gave to me the day after the funeral. I will include the poem next week. Well, I need to hold something back otherwise I will run out of things to say. Yes I know, I heard all of you when the thought of asking came into your heads: Why do you pray when you’re in the shower? Well the answer is simple and if you would like to join me on my next blog I will tell you the reason. Hi bloggers and followers and any other ers! I am Robert and this is my very first attempt at doing a blog. It is most likely to be slightly waffly at first, but bear with me, for I am sure that over the next twenty five years I will be able to get it right. 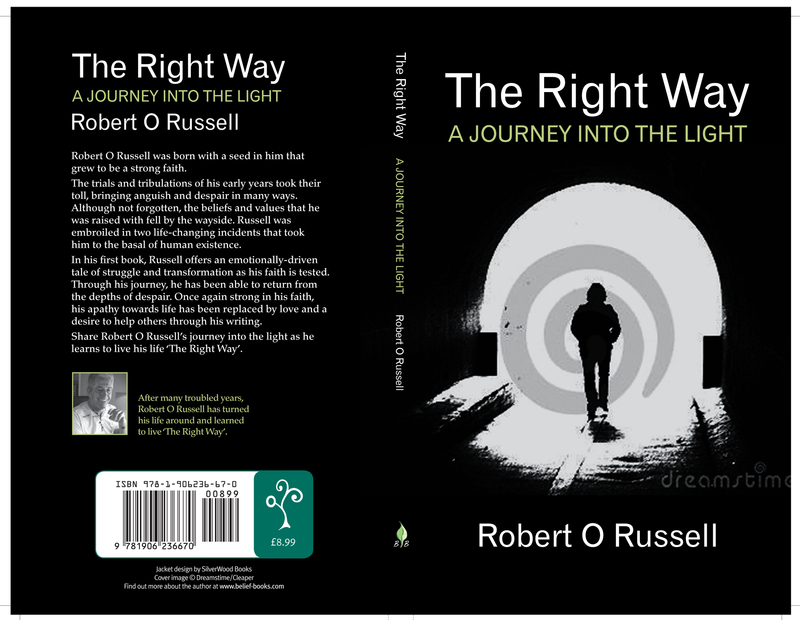 The soon to be for all to see 2012 BLOG TOUR is my first attempt to try and get my first book ‘The Right Way‘ into the public eye since being released in September 2011. As already partly mentioned, it was released on the 10th September 2011, nineteen days before I married my beautiful wife. We had our reception in a newly restored town hall/magistrates court and my wife and I were going to share our reception with an official release, which sadly did not happen.I thought never mind, we can enjoy the wedding and I will organise an official launch party at the same venue shortly after. Sadly, four days after the wedding my 89 year old mother passed away just after having a massive stroke two weeks before the wedding, so again it was not the right time and was of course not organised. Then of course there was the customary quiet time to collect my thoughts and my emotions, which you can obviously guess were shot to pieces with fragments anywhere from Dover to Denmark. Then of course we start the house clearance, the rather big chuck-out time that nobody really wants to do. Who got the job? You guessed it, Mwa. Now, though, by the grace of my Lord in heaven, I have been given a great peace over mother’s death and have been able to get things together much quicker than would have been normal, praise the Lord. Now I know some of you will be hankering to know what Mrs Russell looks like, well if you go to the page of my website called About The Author, you will be able to satisfy your curiosity. The aim is to try and do a blog every one to two weeks, but if I fail and you happen to see me in Sainsbury’s or such place, please do not throw rotten apples at me I much prefer red grapes. Meanwhile, stay good – you should, and if you tried, you know you could.